Office 365 arrives in the Mac App Store, with Microsoft paying the Apple tax. Microsoft Cash- At long last, Microsoft (NASDAQ:MSFT) Office 365 is available through Apple‘s (NASDAQ:AAPL) Mac App Store. The Mac maker had announced last summer at WWDC that the popular productivity suite was coming to the Mac App Store. Office 365 was originally expected to launch in 2018, a deadline that the companies just barely missed. Now that Office 365 has made its debut on Apple’s preferred software distribution channel, the bundle comes with something unexpected: in-app subscriptions. Including in-app subscriptions is an unexpected move by Microsoft. It was always clear that an Office 365 subscription would be necessary to access all of the features of the productivity apps, but I would have expected Microsoft to push the subscriptions outside of Apple’s platform in order to avoid paying the requisite cut. Apple takes 30% of subscription revenue for the first year, then 15% after that, and Office 365 Consumer subscriptions cost between $70 to $100 per year. 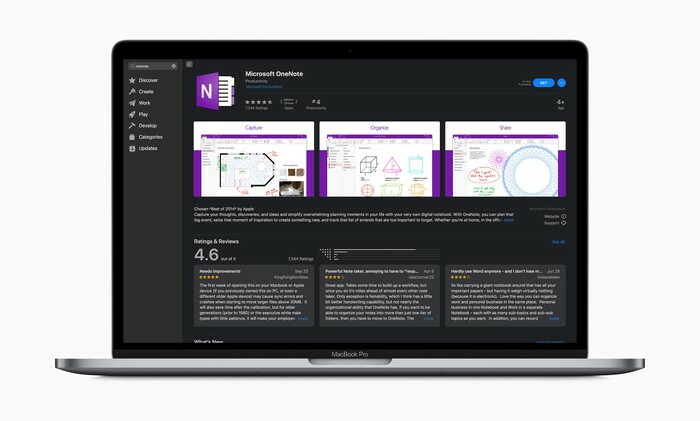 For Office 365 users that subscribe through the Mac App Store, Apple will earn anywhere from $10.50 to $30 per year, depending on which tier they sign up for and how long those subscriptions last. Microsoft has executed undeniably well in transitioning the Office business, one of its most important cash cows, to a subscription model. The bulk of Office 365 seats are naturally enterprise users, and the software giant had 155 million Office 365 commercial seats at the end of the third quarter. On the consumer side, Microsoft had 32.5 million Office 365 subscribers at the end of the third quarter. DATA SOURCE: MICROSOFT. CHART BY AUTHOR. However, it’s clear that growth on the consumer side is slowing in terms of how many consumer subscriptions Microsoft has been adding sequentially in recent quarters. That could explain why Microsoft is willing to pay the Apple tax: The company feels there is growth potential worth pursuing on the Mac platform. Note that the iOS versions of Office apps also offer in-app subscriptions. Apple’s installed base of active devices has now hit 1.4 billion, although those are not all unique users. Still, offering in-app subscriptions is certainly more seamless, and convenience goes a long way with acquiring Office 365 consumer subscribers.